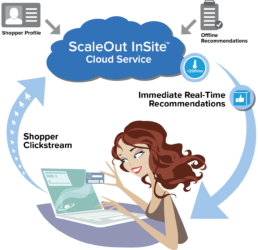 What Makes ScaleOut InSite Unique? A dedicated recommendation container integrated into your site design hosts interactivity and product recommendations. Connects to a cloud-hosted service (SaaS) or on-premise deployment. 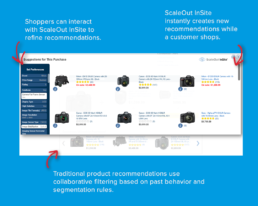 ScaleOut InSite has changed the game for personalized product recommendations. 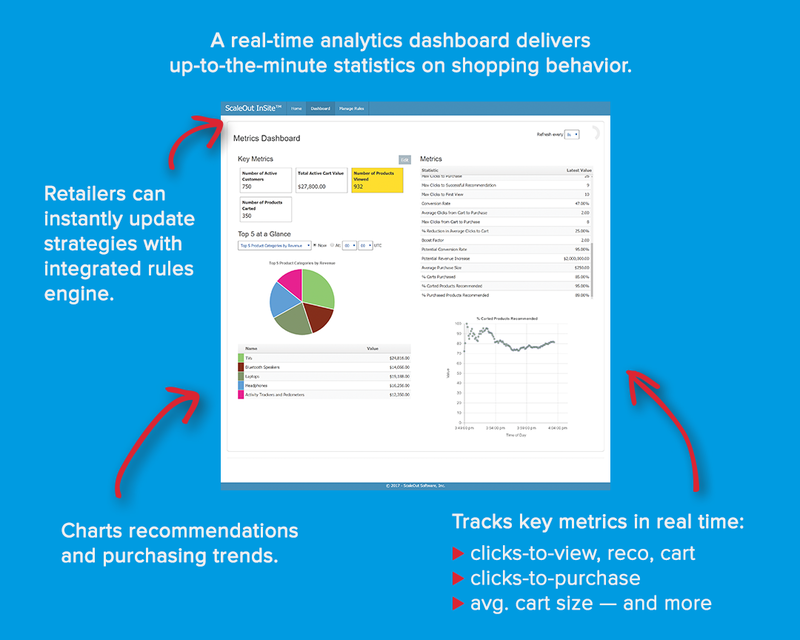 Its real-time inferencing engine uses machine-learning techniques to watch each customer’s live clickstream, analyze viewed products, infer desired brands, features, prices, and ratings, and then select products that best match the customer’s preferences. 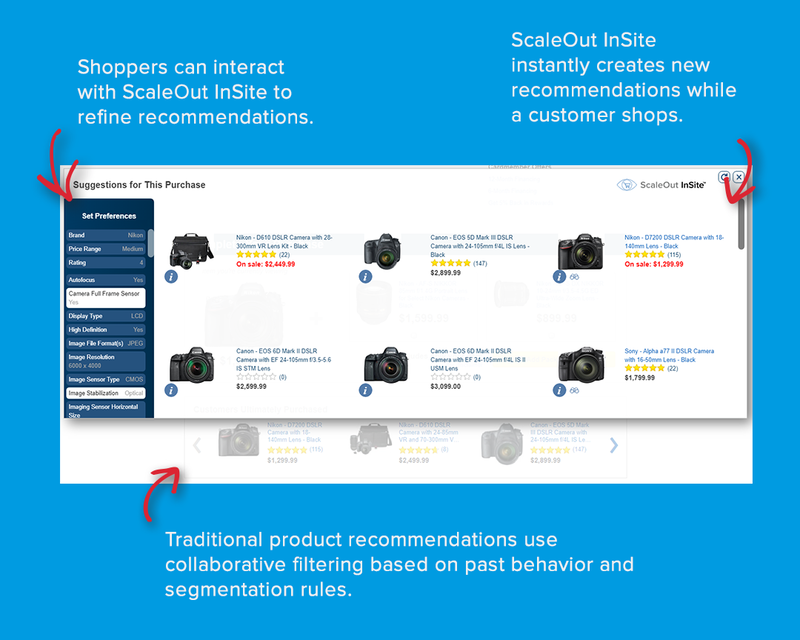 With every website click by the shopper, ScaleOut InSite learns and updates its recommendations. 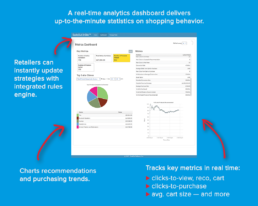 It also invites shoppers to interact with its selections, adjust their criteria, and instantly see the results. 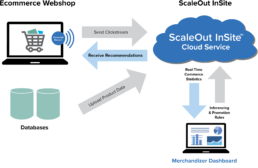 This breakthrough new technology is made possible by ScaleOut Software’s industry-leading, scalable, in-memory computing platform, which enables ecommerce websites to generate interactive, dynamic product recommendations personalized for each shopper. 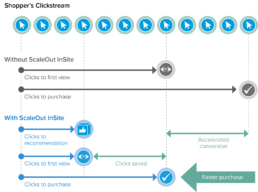 ScaleOut InSite’s inferencing engine generates context-aware recommendations within milliseconds. It runs as a cloud service or on-premise and automatically scales to handle 100s of thousands or more simultaneous shoppers.